Fancy yourself the next Matt Charney or Greg Savage? Well, one of LinkedIn’s latest ventures is about to make that dream a whole lot more possible. In the not too distant future, every single LinkedIn member will have the ability to post, what LinkedIn refer to as, “long-form blog posts” on LinkedIn’s own content publishing platform. That’s right, pretty soon you’ll have the ability to share your experience, thoughts and opinions, as a recruiter, with the masses. 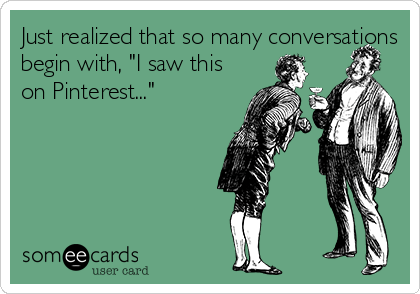 Which means that right now is the perfect time to start thinking about introducing blogging into your social recruiting efforts. Now’s the time for you to get in on the action! What do you want to achieve with this blog? Are you promoting a whitepaper you want your readers to download? Is this an employer brand building exercise? Do you want your readers to comment or give an opinion on the topic? Do you want them to connect with you on LinkedIn? Decide what you want the blog post to achieve and keep that goal in mind when writing it. If you want them to download a whitepaper, you need to tease them with snippets of information from that whitepaper, but leave them wanting more. If it’s an employer brand building exercise, you need to give examples of the company’s culture in action and what makes it different from everyone else out there. If you want them to comment, ask questions, pose queries or start a debate. If you want them to connect with you on LinkedIn, you need to demonstrate your superior knowledge of the topic and prove that you are someone worth connecting with. Think about what you want to achieve before putting fingers to keys. 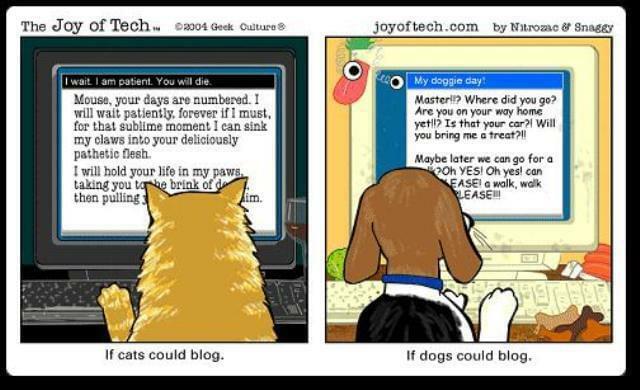 Decide What the Tone of Your Blog Post Will Be. The tone of your blog posts will depend on the type of organisation you’re recruiting for (in-house or agency) and the culture/employer brand they embody, but it will primarily depend on the audience you’re speaking to e.g engineering candidates vs. marketing candidates. But the most important thing when speaking to them, is to write like a real person and appeal to them as a fellow human being. Given the choice you’d never want to read a jargon-filled 200 page document laden with paragraph, after paragraph of long winded text. You’d choose to read an engaging, 1,000 word article that sounds like a human being has actually sat down and thought about it. So get some personalised interjections in there! Include brackets (with your personal thoughts), choose colloquial phrases over jargon, throw in ‘ifs’, ‘buts’ and ‘ands’ at the start of sentences – make a conscious effort to sound like you speak. 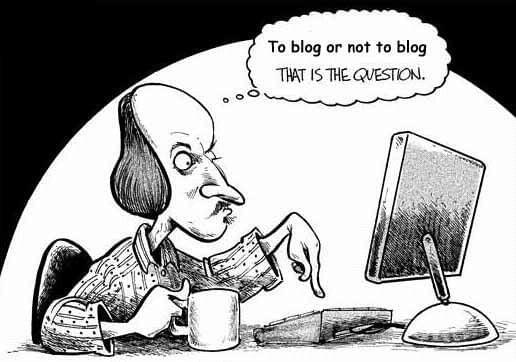 Decide What You’re Going to Blog About. 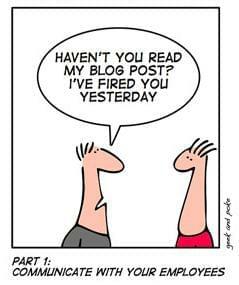 Don’t blog about jobs! I have seen people do this on LinkedIn’s new publishing platform and it is a giant no-no. There is an entire section of LinkedIn to go and do that in and this isn’t one of them. The questions you need to be asking yourself are “Is this idea the kind people will want to read? The kind that saves people“. And by ‘the kind that saves people’ we mean, do you understand the problems of your target market and are you communicating to them how, what your saying, can help them solve those problems? Is your blog post something worth talking about? If it isn’t, don’t write it. 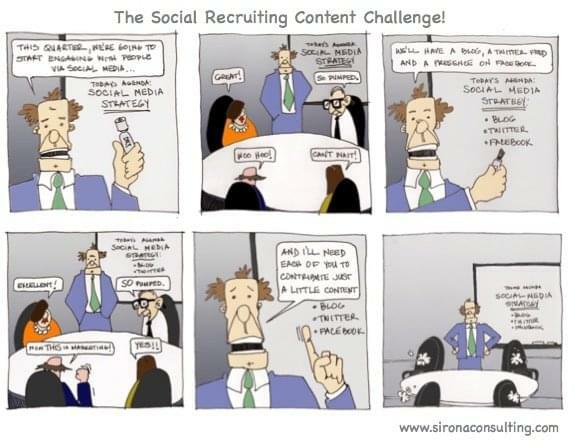 As a recruiter, you have plenty to offer your readers, especially potential candidates and job seekers alike. You can provide them with job hunt tips straight from the horse’s mouth, like how to impress a recruiter. Better still you can provide them with job hunt tips specific to their industry if it’s the same one you recruit candidates for. You can give them a unique perspective on what’s going on in the industry at the moment. You can tell them how to improve their CV. You can tell them what job sites they should be looking at. The list of possibilities goes on! Make the reader see what you see and use anything that will put them in the right position to see what you’re seeing. Tell a story, use descriptions, use case studies, or make it personal. Emotion is a great way of grabbing readers attention. Emotion brings clarity to your message and makes it personal. It gives people a reason to talk about your blog and is far better at triggering the centres in the brain that control behaviour and decisions than logic is. Get their attention from the off. Ask a question, use an analogy or a metaphor, use a shocking statistic, back up a claim with proof or tell them exactly what they’re going to get out of this blog post once they’ve gotten to the end of it. It could be a new job hunting technique, an improvement they can make to their CV or a crucial piece of knowledge they didn’t already know about the industry they’re looking to get hired within. People are naturally curious and they are results driven. Crown It with a Great Title. The title is the only part of your blog post your readers are guaranteed to see and if it isn’t up to scratch, the post itself won’t get read. The title should be used to give your readers an idea of what the content covers without giving too much away. Ideally, it should be around 8 words long or 70 characters. And you must make your point clear and clever, but not confusing. When you have been given access to LinkedIn’s publishing platform, all you need to do to post a blog is select the pencil icon from the Share an update box on your homepage and start typing up your post. When you’re done, click the “Publish” button. Your original content becomes part of your professional profile. It is displayed on the Posts section of your LinkedIn profile. This will look excellent when potential candidates start to check you out on LinkedIn. It is automatically shared with your connections and followers. If you want to share it with your Groups you need to do so manually by selecting the LinkedIn “Share” button at the top of your blog after it has been published. Members not in your network can now follow you from your long-form post to receive updates when you publish next. 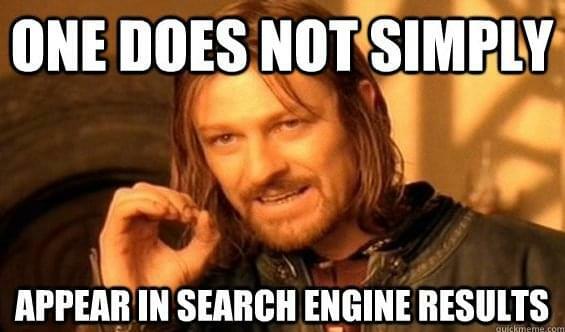 This is why it is vital to create content worth coming back for. 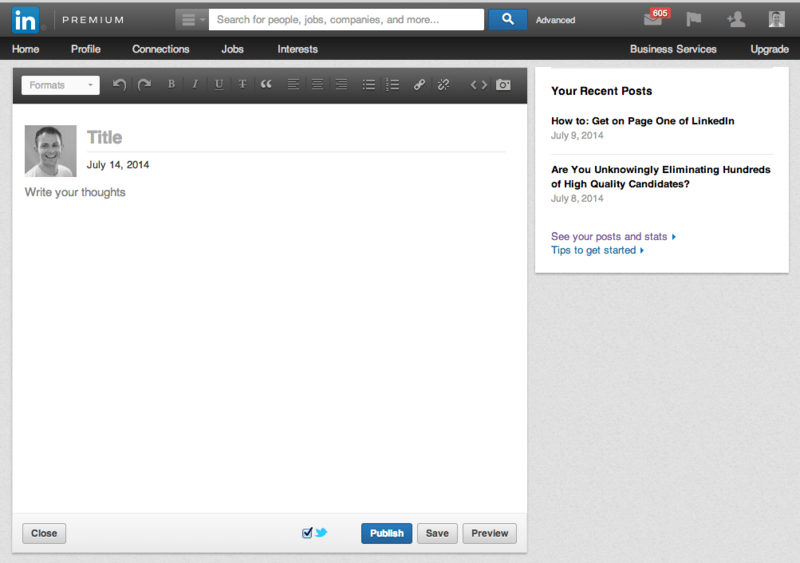 Your long-form post is searchable both on and off of LinkedIn. So be sure to spend time properly crafting a title (as previously mentioned) that accurately reflects what you’re talking about within the blog. Also, don’t forget to include your subject keyword throughout the blog. Don’t litter with it, but be sure to use it frequently so that when people come looking for articles based on your subject, they find your article. You’ve spend the time and effort planning and writing it, now it’s time to get it out their for the world to see. When you’ve published, tell your network, send it to friends, post the link to your blog on Facebook, tweet it out, pin it on Pinterest, let your colleagues know. Get the word out there to build a strong following. The more you share, the bigger your audience and the more impact you’ll have. 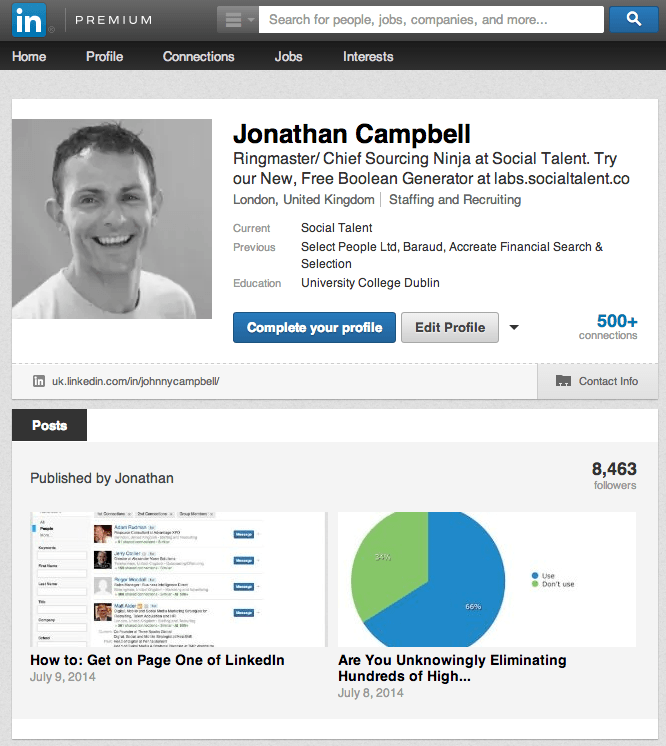 For more social recruiting tips, visit the Cool Tools section of our website and download any of our FREE whitepapers that cover topics as diverse as “How to: Create an All-Star LinkedIn Profile” to “How to: Recruit Tech Pros on Twitter” to “How to: Source Great IT Candidates on Stack Overflow“. We’ll see you there! 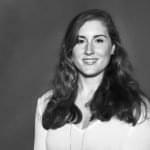 We give you the lowdown on two recruiter relevant Google products: Google Keep and Google Takeout. In the news this week: Glassdoor release valuable Software Engineer hiring insights, LinkedIn introduce searchable custom fields to LinkedIn Recruiter, and Facebook make a welcome contact change.